Punjab has been to me what the bollywood movies make me believe, the green and golden luscious farms , dance and music and most importantly the abundant food. 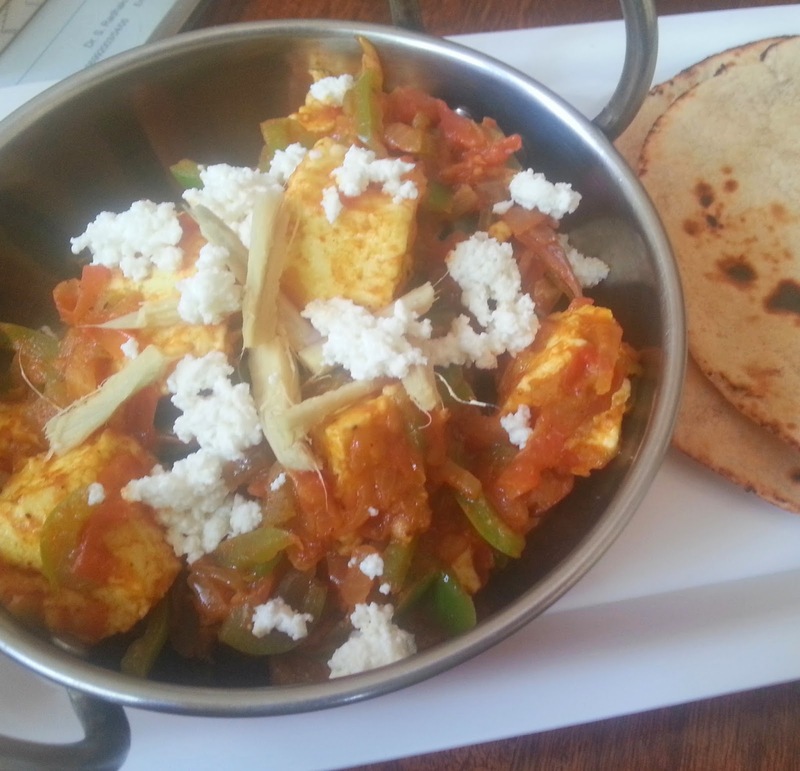 Although paneer is now adopted by all states with equal zest I still associate it with the northern states. Most importantly the punjabi style of cooking. I also prefer it more in those gravy than any other way. 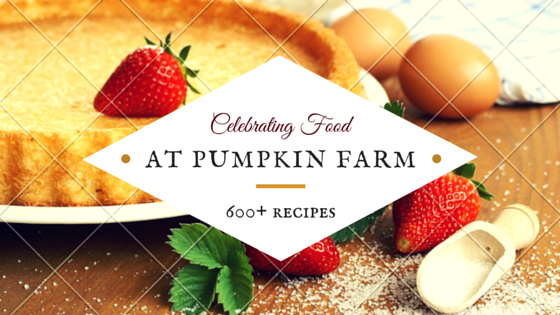 This particular dish is favorite with all members in the family. 8) Serve hot with tandoor roti. 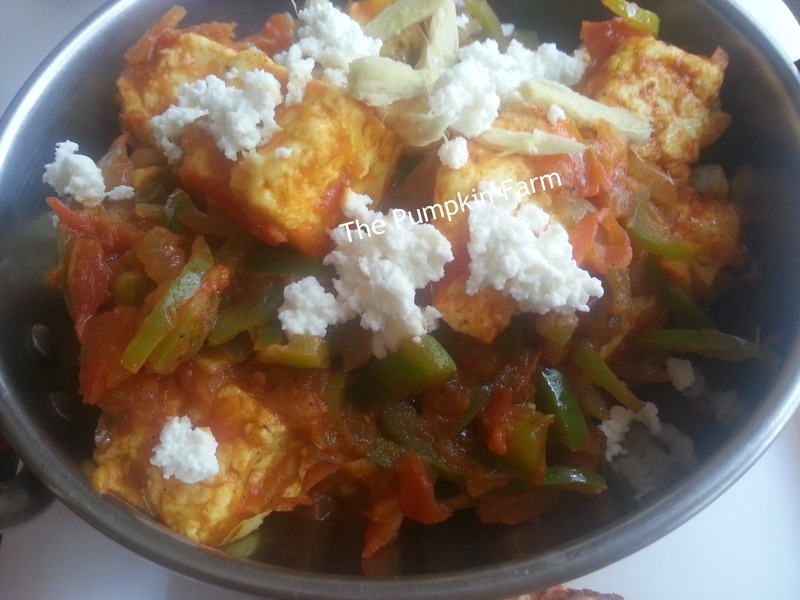 Paneer dishes are always my weakness, Kadhai paneer is just inviting me. 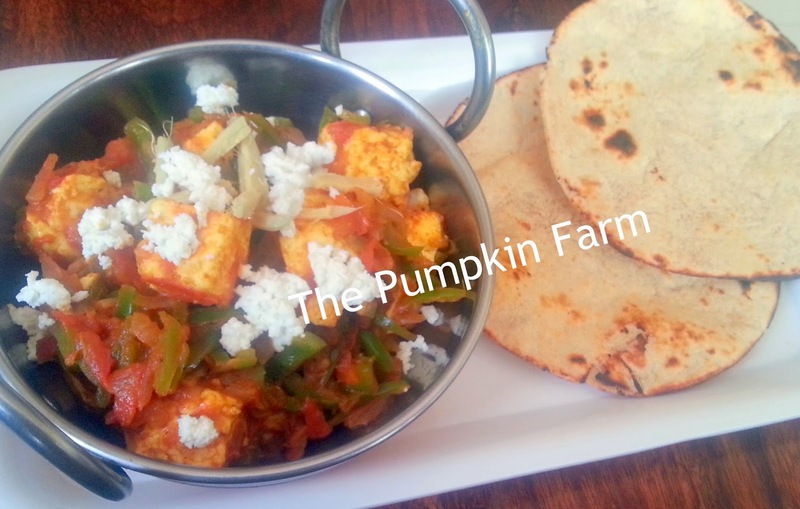 I remember at one time I thought of paneer as something exotic. It takes any dish to a whole new level. 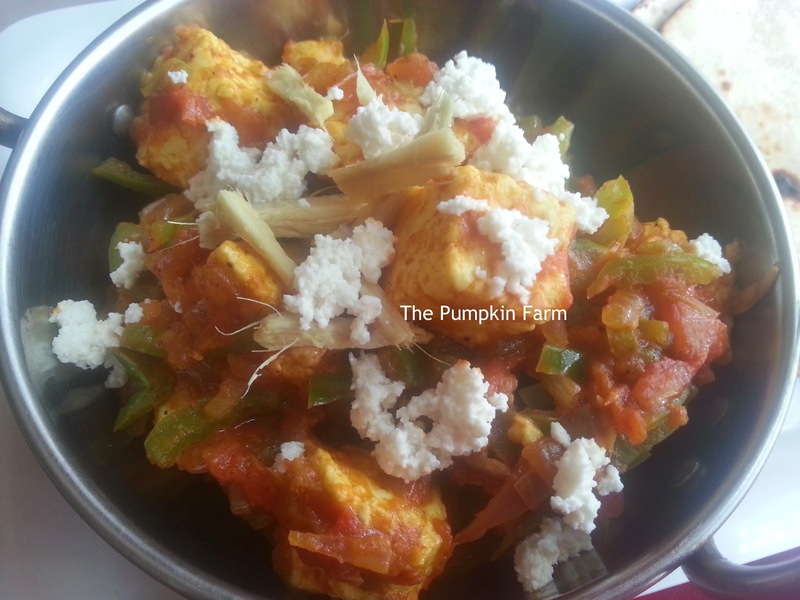 Paneer in any form is my favorite!..great dish..
Paneer dishes are always welcome!! so flavorful and delicious!! That is a yummy looking paneer curry. Perfect with tandoori roti!! Lovely Pradnya. Lovely curry and goes with any variety of roti and even with rice. Good one. Mmmmmmmmmmmmmmmm! my favourite. I will love to join you for khadai paneer anyday. kadai paneer is my favourite order at restaurants too.. looks perfect.. please hand me some rotis right now..
Punjab and Paneer go hand in hand...super tempting paneer from my fav. Cuisine.